March 2014 – It’s a Gel! It’s a Polish! No, it’s Gelnamel! Bringing together the best of polish and the best of gels, FUSE Gelnamel has created the next generation in nail color, deliveringsalon-worthy results at a speed, ease and price like nothing before. Created by the makers of SensatioNail®, the #1 at-home gel polish brand, FUSE Gelnamel features an all-in-one formula that delivers one-coat coverage from start to finish and a proprietary anti-chip technology that seamlessly provides megawatt shine that lasts! Na-no Way! *: A seriously bright pink that’s out of this world! FUSE can also be used on toes. Simply lift and reattach top portion of lamp angled outwards and follow normal usage instructions. To remove, use 100% acetone with the SensatioNail® Gel Polish Removal Kit and Gel Polish Removal Tool. Beginning March 2014, FUSE Starter Kits and individual Gelnamel colors are available for $39.99 and $15.59 respectively, as well as the Cleanser and Wipe Refill Kit for $8.99 at Shoppers Drug Mart, Walmart and Rexall. 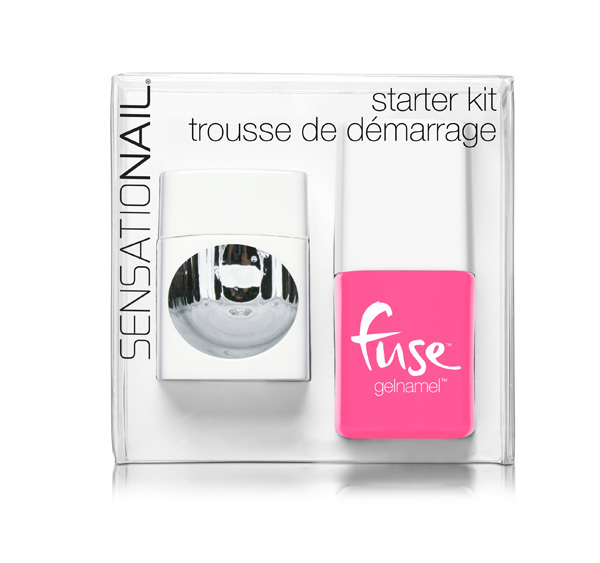 FUSE is the first Gelnamel to the market from the makers of SensatioNail, the #1 at-home gel polish brand. FUSE provides women with beautiful results that are easy-to-use and affordable for everyday wear. SensatioNailand FUSE are owned and developed by Pacific World Corporation, a global innovator and leader in the nail category, located in Aliso Viejo, California. For more information, please contact McCaughey Consumer Products (www.mcptri.com or 905-319-2246), visitwww.pacificworldcorp.com and watch a step by step tutorial on how to fuse.